Cathabell Marigold is a human Aura Cleric from Cadarnle, Coron. She is the daughter of Siev and Warwick. Witnessing the ruin, Cathabell wanted a fresh start and convinced that she could be a capable princess. 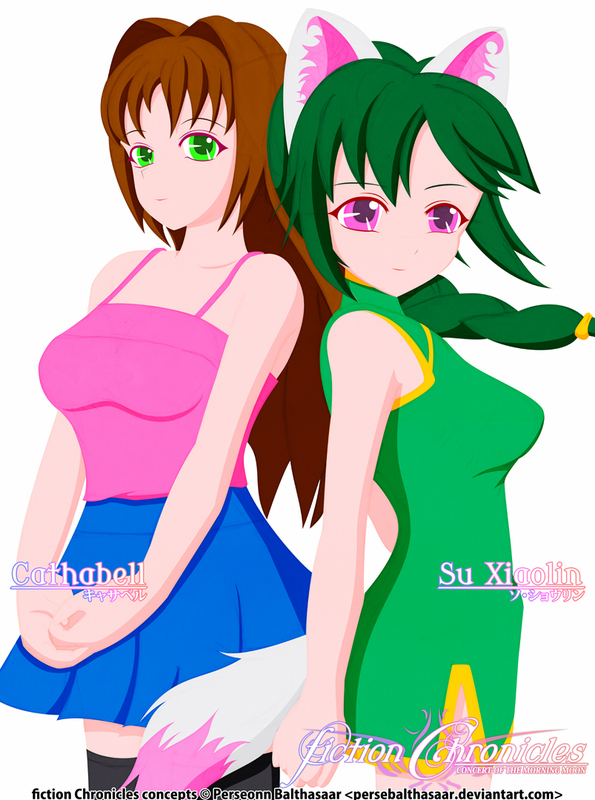 She sought to recreating the ruined world, and met the similar-minded Charmaine and Spica. As they explore the regions of the Glass Library, Cathabell met with Richter and his party who is working toward restoring the world. She has lime eyes and medium length marigold hair. She is energetic and rebellious, but easily heartbroken if other people get hurt because of her. She tends to overthink problems and tries to solve them using her powers alone, no matter how impossible it is. She is somehow very savvy about her self-proclaimed princess position. In battle, she wields mystic wands which increases her healing power to sustain her party. She is proficient in making cakes and pastries, but not too good with making the bread itself. When idling in the garden, she can be found in the library section reading books and, along with other members, training to be a proper princess. Her journey represents her unconscious self. She is not able to see the whole picture. There are hidden things that cannot or will revealed. She is deceiving or being deceived. Cathabell's full name was taken from one of my seniors's e-mail address in high school. She is 18 years old during the event of Concert of the Morning Moon, 160 cm tall and weighs 45 kg. Cathabell's design was to be a very generic heroine; over time, she evolved to have a unique color scheme on her own based off Yuzu from Devil Survivor 2. 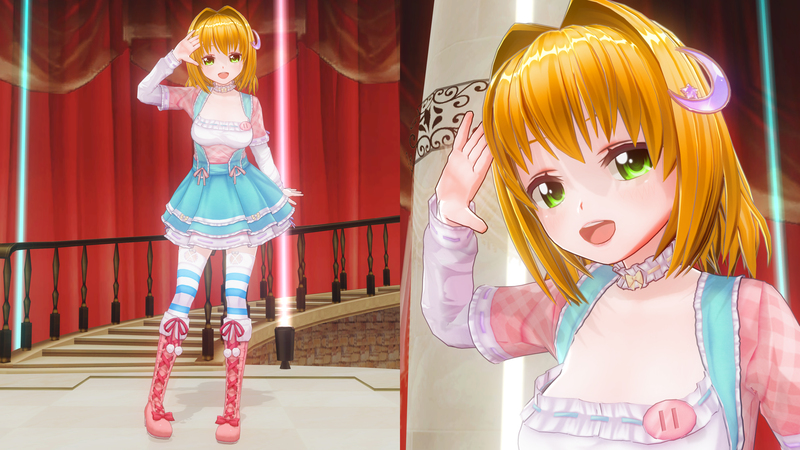 Her main design point is her hair ribbon, refer to her ハニーセレクト render in the Alternate Media section. 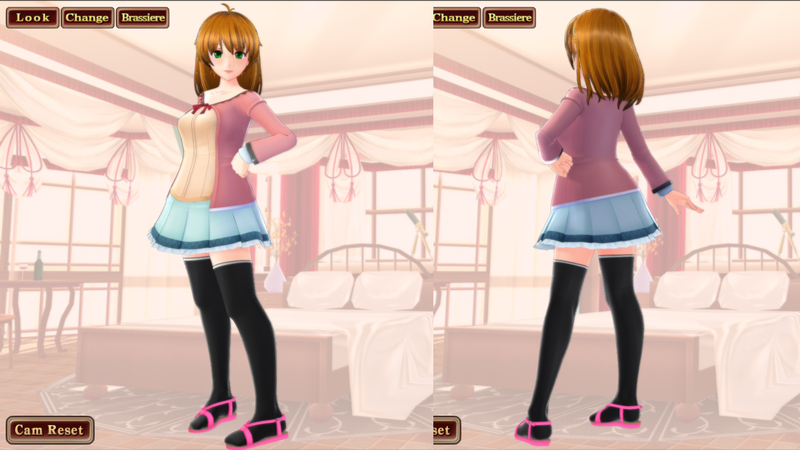 She is to appear sweet with a miniskirt, but also modest without using shorts. 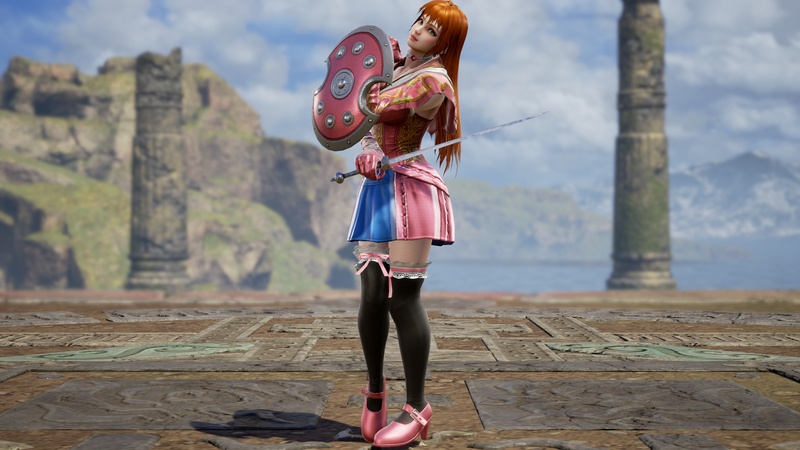 Soulcalibur III version is her very first rendition as a character. She didn't have a clear theme back then other than a generic heroine. This look is followed up in Soulcalibur IV, changing her moveset to Seong Mi-na. The Broken Destiny, I have to admit is a poor attempt to get her SC4 look. The Broken Destiny second costume by Tanleeseng, however, is the better version and is closer to her later color scheme. 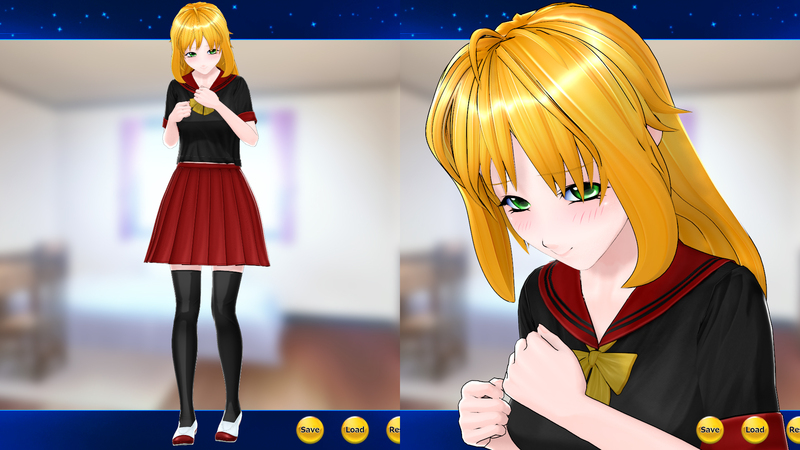 This is the debut of her finalized costume. Pyrrha was chosen because she doesn't fit the dancing style of Viola nor the jumpy style of Xiba. 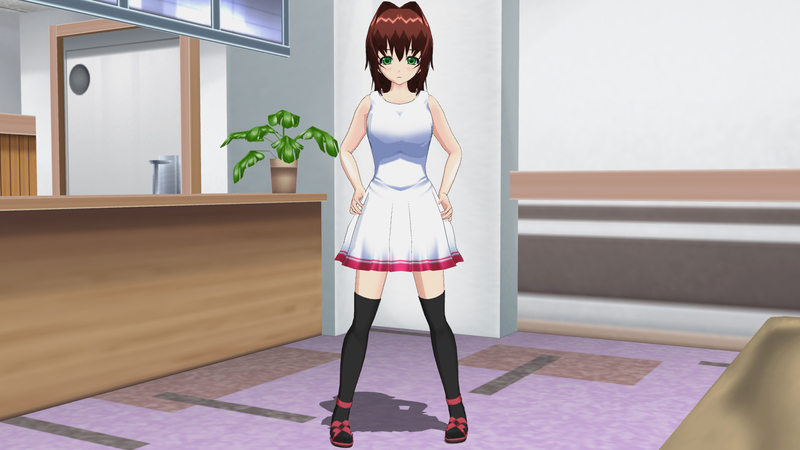 Since the entire outfit has some kind of satin-like shine, the skirt is patterned in a way that it will also shine, albeit not as good as the rest of her costume. The Costume 2 is a concept of her transcendence form, Pretty Guardian. It was meant to be campy and a callback to the old female tokusatsu from the 80s-90s, such as Cutie Honey. The Costume 3 is her first Soulcalibur V costume, inspired from Castlevania Judgment Maria, with feathers as motives instead of cross. 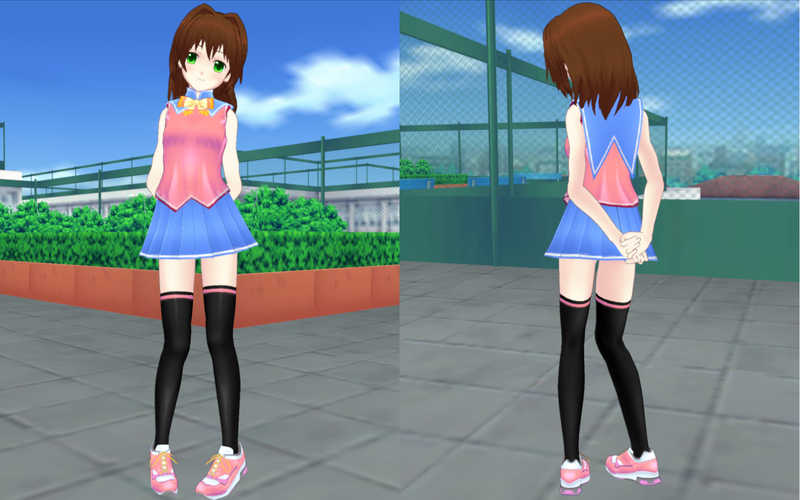 The combination started my interest on giving her miniskirt and socks instead of medium skirt and leggings. The Costume 4 is a callback to her Soulcalibur III outfit, but I experimented to base her color scheme off Yuzu. 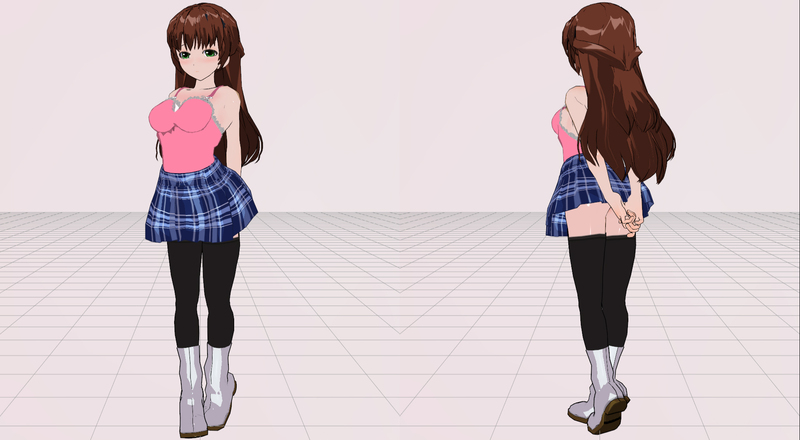 This gives the idea of her main outfit much later. This is a preliminary look, based on her latest Soulcalibur V outfit, combined with the return of the cape from Soulcalibur IV. I have a concept ready for her, but at the moment it is impossible to realize it. 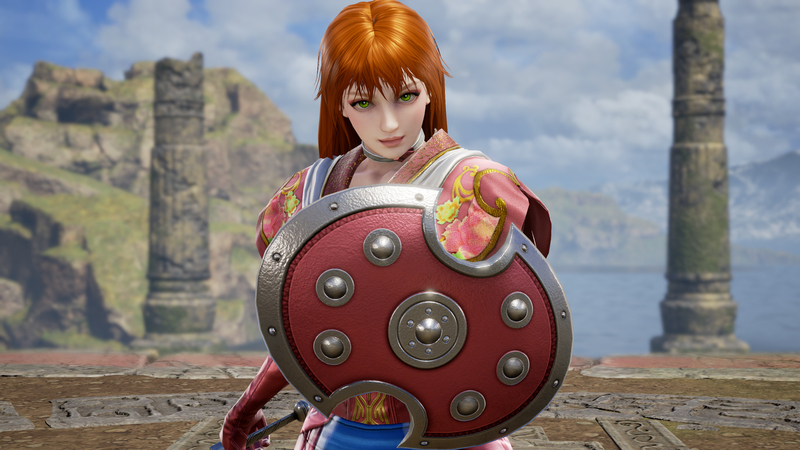 She is based on her Soulcalibur III outfit. 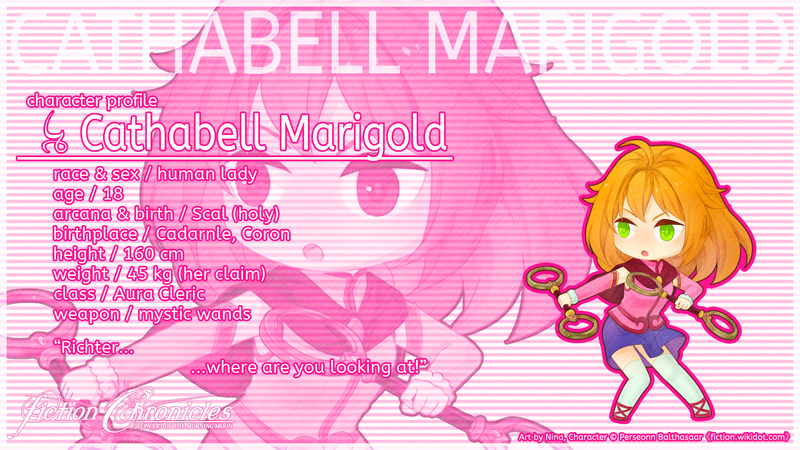 At first, I set her with Staff, then I changed to Pugil Stick since they're actually wands and magical. This weapon fits her so good that I changed real her weapon from staff to twin wands. 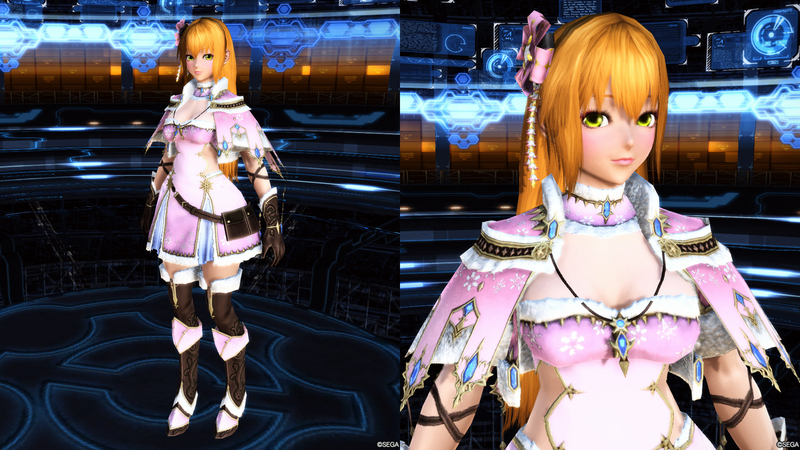 While the Dynasty Warriors 7 gives her a typical magic caster look, the Dynasty Warriors 8 gives her a magical girl look. This holds true for her Samurai Warriors 4 look.